Serving clients in Traverse City, Cadillac, Bellaire, Benzie, Beulah, Leelanau, Manistee, Kalkaska, Kingsley and Charlevoix. In Michigan, it’s against the law to transport an open container of alcohol in your moving vehicle. Any kind of alcoholic intoxicant falls under this law. If you’re caught with an open container, you face a misdemeanor charge. It’s a violation of Michigan law 257.624a. A violation is a misdemeanor punishable by up to 93 days in jail. You may also pay a fine of up to $500. In most cases, if you have contact with law enforcement and they find an open container, you’re going to face this charge. You may even be arrested. This offense can be problematic as you face time in jail, career problems and problems paying the steep fines. How do I comply with Michigan’s open container laws? To remain within the limits of the law, your alcohol should be sealed. The law applies not only to highways, but also to side roads and even parking lots. The law says that any unsealed alcohol can’t be transported within the passenger area of a motor vehicle. If you must travel with open alcohol, it must be in the trunk where no passengers can reach it. The best bet is to place your alcohol in the trunk and only travel with it while it’s sealed. At Razavi Law, PLLC, we’re Northern Michigan’s criminal lawyers. We’re prepared to help you fight for your best interests when you’re charged with possessing an open container in a motor vehicle. We get to know you and your case. Then, we recommend a course of action that best pursues your interests. No two cases are alike. That’s why we work with you on an individual basis to address your case one-on-one. When you work with us, expect our personal attention and detail on your case. We expect you to ask us a lot of questions. We’ll explain what happens at each stage of the process, so whether you’re facing an arraignment, pretrial, trial, plea or sentencing, you’re prepared and confident in what’s going to happen. 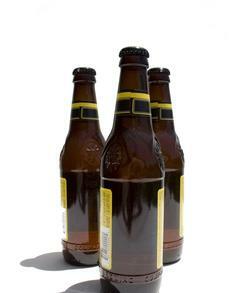 The point of Michigan’s open container laws is to cut down on drunk driving. If you’re caught with an open container, you can expect the police to also conduct an investigation for operating while intoxicated. Facing multiple charges at once makes your offense very serious, and we can help you address the charges to the best possible result. If you’re facing an open container charge, drunk driving (OWI, DUI, DWI, etc) charges or any other criminal offense, we invite you to contact us. We’re skilled and experienced Northern Michigan criminal defense attorneys, and we’re committed to help our clients navigate Michigan’s complex legal system. at (231) 486-6366. There’s no charge for an initial consultation. We look forward to speaking with you.